“If music be the food of love play on”. 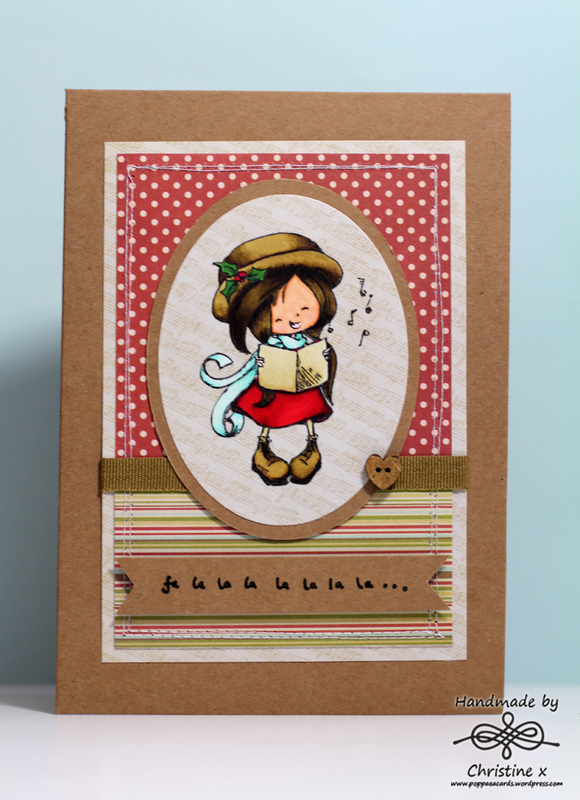 I had some musical notes design paper in my stash but no musical stamps or embellishments. Then, when out shopping I spotted Quick Cards magazine which had a beautiful stamp set from Tiddly Inks as the free gift, one of the stamps being a cute little carol singing girl. Perfect! The colours I have used come from the inspiration photo at Fusion. 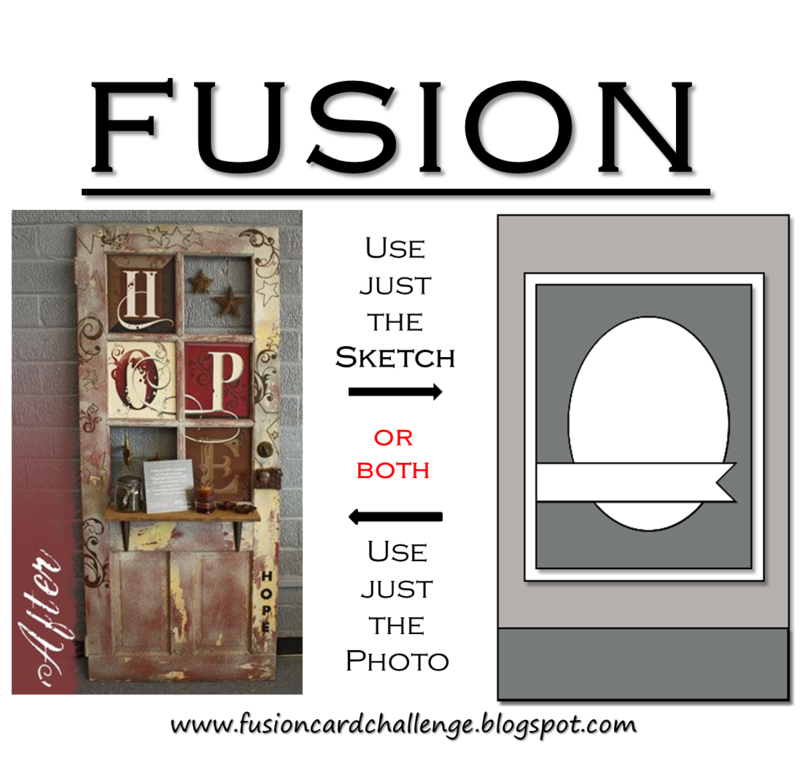 I used the sketch for my layout but had to change it slightly as the card came together. The image is coloured using Spectrum Noir pens and the paper is from Dovecraft’s Back to Basics Christmas. What a sweet little lady! Great colouring and super how your card looks so clean whit al the paper! Thank you for taking the TIME OUT and join us! What a sweet card, Christine! Love your colouring! Thanks for joining us at Fusion! Totally Adorable, just sweet and charming coloring and image!! Thanks ever so much for joining us at FUSION !!! Hope you join us again!!! !